Whether you’re just starting off and have one employee, or you’re running a 700-employee team, there are two things you don’t compromise on — back-end infrastructure and forward-facing market brand. Our consulting services cover a full range of leading-edge HR processes tailored to meet the unique challenges your organization is facing. From reducing the risk of litigation through improved compliance and building a scalable HR infrastructure, to assessing and redesigning your compensation programs and solving your talent retention problems. We have senior human resources consultants who are experts in all HR Functional Areas. Legal Updates and Best Practices. Risk Management. Assessment, identification and prioritization of risks. Legal and regulatory compliance auditing and investigations. Ensure HR Technologies facilitate compliance and reporting (e.g., tracking employee accident and safety reports). Training, mentoring and coaching senior leadership on HR-related legal and regulatory compliance issues (Illegal terminations or discipline, unfair labor practices). Coaching employees at all levels to understand illegal and noncompliant HR related behaviors. Diversity & Inclusion. Mentoring, training, guidance and coaching on cultural differences and practices to employees at all levels of the organization. Organizational Compliance. I-9 Auditing, Compliance Training, HR Audits and Compliance Checklists. Employee Records Management. Ensure HR Technologies facilitate compliance and reporting requirements. Assistance with setting up and auditing employee files. “I am new to DiSC and this was the perfect training for me! Great information bringing the DiSC model, its applications and toolkits to life. Superb from start to finish. Overall, you can improve the quality of your team and build more effective workplace relationships by using this tool. I’ve come away with a buzz of ideas and that is, in part because the Everything DiSC model is so easy AND impressive! The customer service we have received from HCCI and Wiley are top notch! Thanks so much! If you want to be more confident in your ability (to administer and debrief these assessments) and have a solid foundation, take this course! DiSC is a valuable behavioral tool which supports any people-focused business. Great course, great content, great tool. HCCI has helped us when our plates were overflowing by bringing their expert human resources knowledge to our company. We had so many projects that we just couldn’t get to them all. They were instrumental in bringing balance back into the Human Resources department, so I could focus on other tasks. The team consistently delivers whatever we ask of them….they offer excellent advice and deliver quality services. They approach our relationship as a partner and act accordingly. We are very grateful for the extra support! Leyda is a coach who has impressed me incredibly. I am fascinated by her presence, her clarity and her exceptional ability to put things in a nutshell with the right timing. Leyda can move people and motivate them to bring the best out of themselves. In doing so, she does not put anyone under pressure but provides the necessary support with her love. She is a reliable companion on the right path. I can only advise anyone, who wants to take the next step, to entrust herself/himself to Leyda. Where do I start? She has been the light for me at the end of the tunnel, guiding me through each and every step of my career. She has helped me grow and mature in such a way that I might not feel so proud of myself like I do if it wasn’t for Leyda being part of it. I have been able to mature within my work and personal life tremendously. Words cannot describe how thankful I am for everything Leyda has done for me. She has been a great mentor, coach! Someone that I can trust! I strongly recommend Leyda to help you work through important decisions, create an actionable plan for execution and then track to the plan and work through any barriers to success. Leyda and her team at HCCI were a perfect HR solution for my organization. When I took over we had no structure in place: no job descriptions, evaluation systems, personnel files or trainings. Leyda helped with every step: setting priorities, creating a work plan and executing the pieces. We were a much better organization as a result of HCCI’s solid work. PASSIONATE, EXCELLENCE, COMMITMENT, AND INTEGRITY. That’s all I can say. 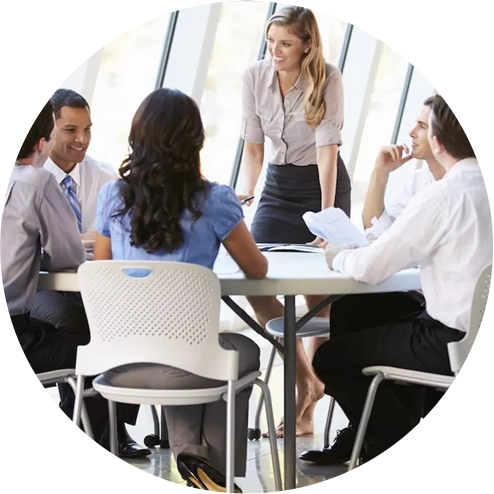 When it comes to the broad field of Human Resources, an ever-growing field of legislation, strategy, and compliance, you will find no better partner than the team at HCCI. From daily operations to staffing to leadership development, their team has proven on numerous occasions to be professional and responsive problem solvers. You will find no better solution when looking for a Human Resources partner that CARES more and works harder than Leyda and her team. We value greatly the relationship and would recommend Human Capital Consultants to any business or organization. I met Leyda through the School of Industrial and Labor Relations at Cornell University. Leyda has supported me as a friend and as an executive coach through the past several years. Leyda is detailed oriented, inspirational and does an excellent job getting to the root cause of challenges to help her clients succeed in their professional and personal goals. Leyda is passionate about what she does and is hardworking and sincere. She would be a great complementary force and a wonderful addition to teams trying to achieve their potential as well as individuals who are trying to achieve their professional goals. Leyda has been a ray of light for me. It’s because of her that I have been able to grow and learn so much about myself and the people around me. It is because of her that I am where I am in my career today, and for all this and so much more I cannot thank her enough. I learned new questions to ask myself when addressing management issues and had one of those proverbial “aha” moments that encouraged me to take the next step in fine-tuning my own leadership voice and personal vision for the future. I first met Leyda while she was running the GMSHRM Certification Study Group and I was interested in finding the best way to prepare, take, and pass my SHRM-CP exam. I had never taken the exam before and didn’t what to expect or how to prepare. I was totally lost. From the beginning, Leyda took me under her wing. She walked me through a plan to get me to my goal. Over the next couple of weeks, we worked together taking classes, completing coursework, and studying. She answered any question I had and made the process more manageable than I ever could have imagined. Fast forward a couple of weeks and I accomplished my goal! I honestly couldn’t have done it without her help, guidance, and support. She is truly someone who was built to be a leader and a mentor! If you ever have the chance to work with Leyda, I would highly recommend it. “Everything DiSC has become an essential component of our leadership development toolkit. The Leadership Team found insights gleaned from their use of the tool to be immediately applicable. The DiSC online course was simple, straight to the point and rich in content. The training was not only useful in equipping us to better utilize the tool, but it was also a fantastic professional development opportunity for our Knowledge Management Team! I now feel more confident to use the DiSC tool to improve my individual, my teams and my business performance. It has certainly given me a better understanding of myself and others. I am identifying strategies for working more effectively with my management team. Great course! Great Assessments! Great experience! Thank you HCCI and Wiley! DiSC allows us to link a common understanding of workplace behaviors to our learning and development opportunities for our workforce. From senior leaders, to executives, to front-line associates, the personal learning realized as a result of DiSC tools provides our Associates with the capability to communicate better and function more effectively as a team. This course has been a hugely positive experience. I’m now raring to go to spread the DiSC word throughout our company. Productive Conflict was my favorite. Learning how to “catch” yourself when going down a destructive conflict path…Discovering my Management style, recognizing my priorities and preferences and how they shape my experience as a manager…that alone…it was priceless. priceless. The DiSC model has had a positive impact on me and our organization. The scope and opportunity for us to drive forward change and support future growth is huge. We’ve partnered with HCCI for train-the-trainer programs. Their content is relevant, their prices are competitive. The Everything DiSC Essentials Online Course is a valuable investment that will pay off. It’s great to see how my leadership team understood that their management style influences how they manage time, make decisions, approach problems, and what they need to do to adapt to the styles of others! DiSC is an excellent tool that is readily understandable and easy to use and this course trains and educates you to the point that you feel confident and able to take it back into your company. The assessments are powerful. I loved Productive Conflict. I learned how to reframe a conflict situation and just choose more productive behaviors. Thanks for being so supportive and for sharing so much of your experience. I first met Leyda in a John Maxwell Global Leadership Certification Conference in Orlando, FL. I remember in that first small group meeting, we were a group of ten experienced leaders from various professions, locations, and with different aim and purpose; Leyda immediately took initiative and masterfully connected with everyone in the group. Then during the speech training session, her insights and feedback were invaluable and her encouragement to every speaker was such a difference maker. Leyda is an incredible service minded and an inspirational leader who values everyone and quickly develops collaboration and builds consensus. Leyda’s leadership capability, extensive human resource experience with various organizations, her coaching and mentoring skills, and her extraordinary passion to make a difference equip her to add immediate and definite value to any individual, group, or organization in pursuit of maximizing their results and experiencing growth. HCCI truly achieves excellence in what they do, and the services they provide. HCCI exemplifies the high standards of business practice in South Florida. Leyda and her team have provided their expertise in training, recruiting, onboarding, coaching, mentoring and a number of other areas. They listened to our needs and concerns, then proposed comprehensive solutions. They have continued to implement those solutions in a timely manner, showing that they understand our organization, our priorities, and our needs. Their expertise and support have proven invaluable. THANK YOU! Through coaching, I was able to gain the confidence and skills needed to communicate effectively with executive management. As a mid-level HR professional, I learned how to translate the detailed issues of a business problem to an executive level summary with direct impacts to the bottom line. This change in communication has already improved my effectiveness as a leader within my organization. Leyda taught me to challenge the status quo, propel our processes forward, and drive change within the organization. Coaching has provided me with a new perspective on my role in the business as a leader and my capability to change and challenge the systems used today to help grow them into tools to support our ever-changing business. Thank you Leyda for your guidance and support! As a business owner whose goal is to deliver services to our internal and external clients in a cost-effective and efficient manner, I recognized the importance of having sound personnel policies and procedures that are not only compliant with labor regulations but establish best practices in key areas. We looked to HCCI, LLC to provide an objective review of our personnel management practices and provide a set of recommendations to improve these practices. With HCCI’s assistance, we updated our handbook, established policies and procedures that comply with federal laws and regulations, and documented job functions, responsibilities and supervisory relationships with up-to-date job descriptions. We continue to look to HCCI to provide their guidance and expertise in sensitive personnel areas that require a good understanding of human resource management and labor regulations. Leyda knows how to connect with people. You are a great leader, an amazing coach! and I admire you so much! You brought me to a new level of professionalism and leadership. I feel adept at dealing with crises and disputes, high profile communication opportunities, articulating new visions and bringing teams along with me. I’ve learned how to be a leader without ego, how to confront and tackle sensitive issues. People say change is hard. It is, but it is much more achievable when you have Leyda as your coach and mentor to guide you through the process. I was lucky to have Leyda as an executive coach during a period of time where I needed to change my leadership style. I learned a lot from her on dealing with leadership challenges, building a high-performing team, and providing a vision to guide and unify the team.